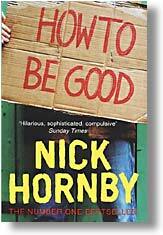 British writer Nick Hornby, author of High Fidelity, Fever Pitch, About a Boy and How to Be Good, was recently in Barcelona for the presentation of How to Be Good in both Spanish and Catalan translations. The novel has also just been released in paperback in both the U.K. and the U.S.; while the film version of About a Boy, with Hugh Grant, is winning over viewers and critics alike. Sara Martin, an English literature teacher at the Universitat Autònoma de Barcelona, caught up with him at The British Council here in Barcelona and an e-mail interview followed . . . .
Nick Hornby is a graduate of Cambridge University and was a teacher before turning to writing full-time. 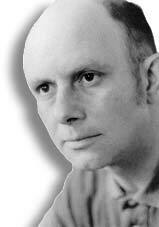 Prior to turning his attention to fiction, Hornby was a regular contributor to Esquire, the London Sunday Times, and The Independent. He has also written for GQ, Elle, Time, The New Republic, Vogue and Premiere. He lives in North London, within walking distance of his favorite football team, the Arsenal. TBR: You claim that it's not possible to plan the kind of book that you write in any detail. How do you actually write your books? N.H: I start with a fragment of narrative, or a character, something that seems to have resonance for me and which allows me to explore the kinds of themes I'm interested in. But I don't begin to write for maybe a year, and in the meantime other elements start to attach themselves to the initial spark. A character or scene from another idea might suddenly start to make sense in a new context, things accumulate...And then I sit down with a very rough sense of a beginning, a middle and an end, maybe just a tonal sense rather than plot points. Most of the work, the jokes and the observations and the smaller narrative episodes, come with the actual writing rather than with the preparation. TBR: Youve said that the difference between writing novels and screenplays is that novels do not necessarily pass through the hands of a good editor, whereas screenplays are constantly scrutinised and, therefore, improved. Yet it strikes me that the quality of writing for the cinema is far lower than that in contemporary novels. N.H: Well, I'm not sure you're comparing like with like. If you're talking about subtlety and sophistication, then novels of course have the edge. But so many novels don't work - they are undisciplined, shapeless, they lose their readership. Whatever you think of film scripts, they frequently work as far as an audience is concerned. All I meant was that if the degree of scrutiny given to a screenplay - sometimes by the wrong people, financiers and producers who have no sympathy for the material - were given to a lot of contemporary novels (by sympathetic readers! ), then those novels would be improved no end. TBR: Both you and Zadie Smith have repeatedly stated that as readers and writers you feel more American than British "My content is British, my style American," you said at one point. Yet you come across to a non-American foreign reader as very English. TBR: Martin Amis says novels should stand the test of time, yet you say that youd "rather be read now than in the future" and also that you write to entertain, that you deal with "the affecting of the emotions in some way." Is this the definition of a popular writer, or has it something to do with reflecting popular culture in your novels? TBR: In your view "the gender thing doesn't apply anymore." Your work should be read, in other words, as a declaration of the mutual understanding of the sexes. Yet you - and in a certain sense Helen Fielding - are saying that this new will to understand each other means accepting the other as they are without romantic illusions. Dont we, though, need some kind of romantic illusion to make relationships survive? N.H: I'm not sure that this is how my work should be read at all, but never mind. We need a romantic illusion to embark on relationships in the first place - after that, they survive or fail for other, more practical reasons. TBR: The humour in your novels is one of their distinct and most enjoyable characteristics. The idea of making people laugh is something you have repeatedly criticised literary fiction for not considering "an important job." Yet your novels are becoming sadder; you have even said that youd like to make them both sadder and funnier. Are you worried that readers may typecast you as a comic writer and find comedy where theres none to be found? N.H: I'm really not worried about anything! I write the books I want to write, and readers will either respond or not respond. All I want to do is make sure that I continue to try to exploit the potential I have. TBR: In Hanif Kureishis Intimacy a man walks out on his wife and children showing no regret. You, in contrast, have your heroine Katie agonise throughout the novel over whether she can leave her own family and still be good. Is How to be Good the (semi-)humorous answer to Intimacy? Do you personally believe in Katies attitude? N.H: It wasn't intended as an answer to Intimacy, but I can see that the characters are diametrically opposed in their attitudes. Do I personally believe that one should agonise before walking out on one's partner and children? Well, yes. TBR: Katie Carr, the narrator, is a 40-year-old married mother of two on the brink of divorce. This is the first time youve used a first person female narrator. You claimed she was the natural choice given your need to describe her husband Davids spiritual crisis indirectly. You have also said that there was no special difficulty in using her narrative voice and that you checked with female friends for any possible lack of credibility in her words and feelings. What strikes me most about Katie, though, is how terribly old she sounds for a 40-year-old woman. A reviewer referred to her as a "middle-aged woman," and I got that impression until I realised she is not that old. N.H: Anyone who is disappointed can sound old, and Katie is disappointed. But in any case, I disagree: I don't think the reviewer was being pejorative, simply descriptive - if 40 isn't middle-aged, then what is? I am 45, and I am not ready for carpet slippers and 10:30 bedtimes, but I am middle-aged. Anyone who doesn't think that 40 is old has swallowed the propaganda pushed by advertisers and the media. TBR: David, the angriest man in Holloway, as the title of his column proclaims, experiences a sudden politico-spiritual conversion to become an unstoppable do-gooder. How to be Good is actually the title of the self-help book he is writing with his self-styled guru, DJ GoodNews. Katie, for her part, is ready to accept a certain measure of good (which is why she works as a doctor) but not the kind of altruism that threatens her middle-class lifestyle. Is your novel a conservative acknowledgement of the failure of liberalism? N.H: If I had to summarise it in that way (and I don't really want to) I would say that it's a liberal acknowledgment of the contradictions of liberalism. TBR: This is not directly a novel about fatherhood but it does have much to do with your own experience of fatherhood. You have explained that, in part, Davids spiritual conversion comes from the "alternative" offers of help youve had to provide a cure for your son Danny, an autistic child. It seems to me that you are simultaneously negotiating through Davids conversion your rational scepticism and your perfectly understandable wish that something would work in the case of your son. But what I find more intriguing is something else: you have edited a collection of short stories, Speaking With the Angel, to help raise money for TreeHouse, a school you co-founded with other parents of autistic children. This means that in your personal life you are doing good and you do believe in Davids idea that maybe you cant change the world but you can change your own street. Why, then, are you so cynical about Davids plans? Or is Katie the cynical one? N.H: The book really doesn't have much to do with my experience of fatherhood - that's really quite a small piece of plot, and it's really not what the book is about. And as far as Speaking With The Angel is concerned: it was relatively easy, it didn't encroach on anyone's personal space, nor did it cost anyone anything - in other words, it's an old-fashioned and relatively painless piece of charity work, with very clearly-defined boundaries. It's Katie's cynicism, and I think it masks a moral panic. TBR: In Chapter 11, Katie yearns to be like Luke Skywalker in The Empire Strikes Back and find a Yoda-like master that will "teach me how to do the things I needed to know to survive the rest of my life." Shes embarrassed because shes looking for "meaning and comfort" in her sons favourite films and not in George Eliot or Wordsworth or Virginia Woolf. "But then," she says, "thats precisely the point, isnt it? There is no time or energy for Virginia Woolf." Why should Virginia Woolf be the referent and not George Lucas - or Nick Hornby? Or are you poking fun at Katies layered view of culture? N.H: If you're going to use popular culture in general - and Star Wars in particular - to help you think about your life, then you're going to find it wanting - or at least, I hope so. That's not what it's for. To me, Elvis Presley is a greater artist than Virginia Woolf, for all sorts of reasons, but his ability to philosophise and reshape one's internal monologues is not one of them. The point is surely that you need both in your life, and in any case the choice of Star Wars was not hers, it was her son's - she's not making her own cultural choices. TBR: My final impression of How to be Good was that Davids conversion to selflessness is a red herring and that the book is essentially about Katies negotiation of the boundaries within which she can be reasonably satisfied with life in a material sense. When she decides to return to the loving arms of culture, buying books and CDs, she asks herself: "Can I be a good person and spend that much money on overpriced consumer goods? I dont know. But I do know this: Id be no good without them." It seems as if the final message is a call to be selfish (or selfless) within reasonable limits: Davids plans must be limited by common sense, Katies spending habits by the rationalisation that shes spending on culture. Am I reading this as you intended it? N.H: Yes, David's conversion is a red herring in that it is there only for the light it sheds on Katie. I'm not sure that I would want to be as reductive as you are, but certainly her negotiation of the boundaries is important. To me, people have focussed more on the moral dilemmas than I'd intended; the book ends with a bleak image of family life, and yet the one or two reviews I have allowed myself to read acted as though the book ended when Katie rediscovered culture, as if the book had a comforting ending. It doesn't.